California Institute of Technology - CalTech boasts 32 Nobel Laureates, 57 National Medal of Science recipients, and an RCV system that helps represent over 2,200 students. Caltech uses RCV to elect the Vice President, the Board of Control Secretary, the Interhouse Committee Chairperson, and the Conduct Review Committee Student Chairman of the Associated Students of California Institute of Technology (ASCIT). University of California at Berkeley - UC-Berkeley has historically been a bastion of progressive change, and the way it elects student leaders is no different. The Associated Students of the University of California adopted RCV (which it calls “alternative vote”) for executive officer elections and STV (“choice voting”) for Senate elections in 1967. Stanford University - One of the most prestigious universities in the country, Stanford has used RCV to elect Associated Students of Stanford University executive officers and class presidents since 2001. Close to 3,500 students participated in the multi-round 2013 presidential election, the results of which you can see here. University of California, Los Angeles - With more applicants per semester than any other university in the country, it’s no secret that UCLA’s 42,000 students have a lot of which to be proud. With 15 Nobel laureates, 110 NCAA team championships, and a place in the prestigious Association of American Universities, UCLA's Undergraduate Student Association uses RCV to elect all officers. For general representative seats, UCLA uses the single transferable vote form of proportional representation. UCLA’s graduate student association also uses RCV to elect their officers which saw a huge turnout increase in 2014. University of California, Davis - With a student body of over 34,000 and the largest campus in the UC system, UC Davis is a big school with even bigger ideas. Since 2005, students have elected the President and Vice-President of the Associated Students using RCV. The Law Students Association also uses RCV at the UC Davis School of Law. California Polytechnic State University - Ranked 9th in the West by America’s Best Colleges guidebook, CalPoly has a long tradition of taking a "Learn by Doing" approach to its education. This hands on and thorough learning method extends to its student governance. CalPoly students use RCV to elect the Associated Students president. RCV was adopted in 2007, the change was aimed at creating a “more efficient voting system.” CalPoly students have shown a commitment to ensure students are well informed about ranked choice voting. Pomona College - Consistently ranked as one of the nation’s best value schools, this prestigious liberal arts college uses RCV to elect its student government officials for its Associated Students. 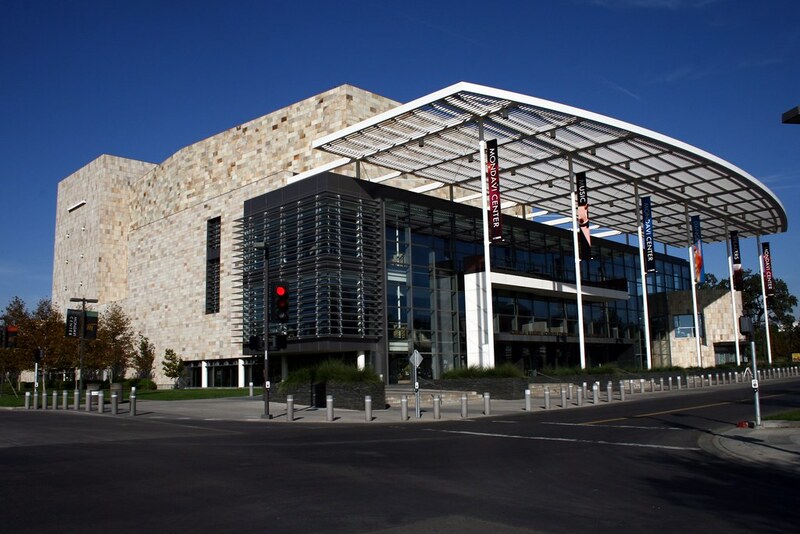 Along with Pitzer and Claremont McKenna, Pomona is one of three Claremont Colleges that use RCV. Claremont-McKenna College - Renowned as one of the nation’s top liberal arts colleges, Claremont-McKenna prides itself on providing a liberal arts education as well preparation for a life of leadership. One way students gain leadership experience is in The Associated Students of Claremont-McKenna, who use RCV to elect the President, Vice President, Social Affairs Council Chair, Dormitory Affairs Council Chair, Student Life Council Chair, and Class Presidents. With candidates competing in multiple three-way races, RCV played a key role in making the campus voice heard in 2013's student government elections. University of California, San Diego - A Public Ivy recognized for one of the nation’s top surfing teams, UCSD students are making waves in election reform. The Associated Students representing the university’s 30,000 students have used RCV for to elect their President, Vice President, Academic Senators, and College Senators since 2003. Loyola Marymount University - Loyola Marymount’s 9,000 students use RCV to elect their president and vice president. Loyola Marymount's Associated Students elections have boasted extremely impressive turnout, breaking records with over 51% of the student body voting in 2014. Pitzer College - A small liberal arts college in Los Angeles, Pitzer emphasizes study of social justice, intercultural understanding, and environment sensitivity. One of Pitzer’s core values is “meaningful participation of students, faculty and staff in college governance and academic program design.” In 2009 RCV was adopted for Student Senate elections, giving students more meaningful participation in student elections. Sonoma State University - Shortly after the adoption of RCV in San Francisco, just a short drive from the Sonoma State campus, the students of Sonoma State University decided to move to RCV themselves for general elections. Associated Students elections started using RCV in the 2004-05 academic year. University of California at Santa Barbara - UCSB may be known for its scenic coastal location in Southern California, but it was also an early adopter of RCV. UC Santa Barbara's Associated Students have used ranked choice voting for all executive offices since 2001, and adopted multi-seat RCV at the beginning of the 2015-2016 school year. The ASUCSB now has the software available for download as an open source project. With this software, universities and organizations can conduct rankings-based online elections without worrying about the tabulation process. University of San Diego School of Law - Renowned for its programs in tax law and public interest practice, USD Law elects several of its student officers using RCV. With an enrollment of about 1,000 students, the Student Bar Association uses ranked choice voting to elect its President, Vice President, Vice President of Organizations, Treasurer, Secretary, ABA Chair, and ABA Vice-Chair. Humboldt State University - Around 8,000 undergraduates use RCV to elect both council representatives and executive officers like president and vice president. The Associated Students first used the new system in the spring 2014 elections after the President-elect in 2013 won on a platform of support for RCV. California State University, Northridge - With six Model UN titles since 2000 and over 250 student organizations, Northridge has a tradition of civic engagement and social awareness. 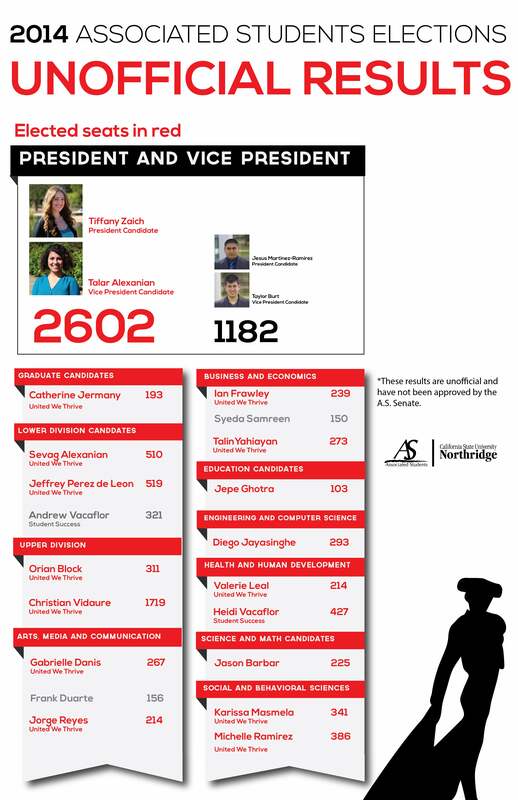 Over 36,000 CSUN students use RCV to elect the Student President and Vice President of the Associated Students each year. California State University, Chico – CSUC, with one of the longest histories of higher education in California, builds a strong sense of community within its student body. All of CSUC’s 16,356 students are voting members of CUSC’s Associated Students. The Associated Students have used RCV since 2005 to elect officers, which has resulted in consistently high turnout. In 2008, well over 4,000 of the University's 16,356 students voted for Student Body President, setting an all-time record. Turnout has remained high in the years to follow. 2014 saw 3,910 students participate in elections, and increasing to 5,182 in 2017.